‘This healing system will work on an area of your Mythic Goddess Self. This is one of a series of the Mythic Goddess Aspects of Self. 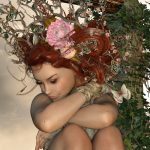 In this system, the focus is the Faery Goddess within you or your ‘Inner Faery’. 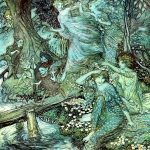 The Faery symbolizes what is deeply embedded in your psyche, your Inner Faery, the Magical, Enchanting aspect of you that is unique and brings JOY to the world. 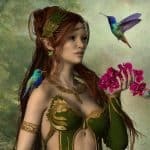 This healing system is going to attune you to the great Magic and Enchantment of the loving and benevolent Faeries and Faery Goddesses so that you can recognize and ignite your Inner Fairy Magic. Thish will rekindle your sense of Magic and Imagination so that this aspect of you really begins to come to the surface in your life. This will greatly enrich your life! 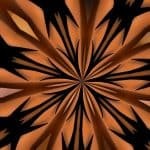 The energies of this healing system are very feminine. 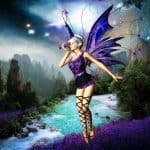 The enchanting energies within you to draw passion and romance into your life will be reawakened so that you can be inspired and empowered in this area of your life. This will enable you to draw a new love or reignite the passion in an existing relationship. There is also a unique clearing that you can run anytime to remove anything blocking you from allowing your Enchanting Fairy Goddess from emerging. 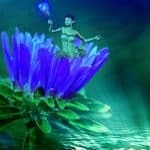 The Inner Faery Goddess is confident and she prizes independence, is charming and engaging, charismatic and feminine and loves attention and being in the limelight of her true love or romantic interest. Perhaps you have lost this aspect of yourself and just need to reawaken it so that you can get the love, attention and limelight you need in your love life. It is easy to lose touch with this aspect of yourself when you walk between the worlds of romantic life and professional life as many of us do these days. Allow yourself to get excited about this aspect of your life so that you can experience all that it offers you and embrace each moment — After all — You are worth it!